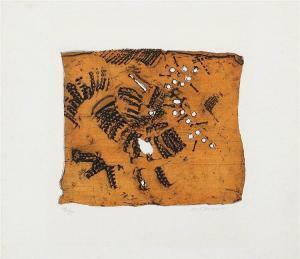 Find artworks, auction results, sale prices and pictures of Umberto Mastroianni at auctions worldwide. Mastroianni, Umberto 1910 Fontana Liri - 1998 Rom Ohne Titel. 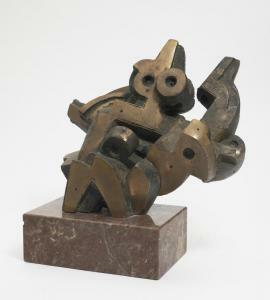 1973 Bronze, braun patiniert 31 x 38 x 22 cm H. (mit Sockel) 40 x 38 x 22 cm Verso signiert. 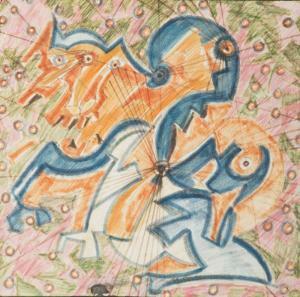 Provenienz: Direkt vom Künstler erworben Mastroianni, Umberto Untitled. 1973 Bronze, brown patinated 31 x 38 x 22 cm Height (with base) 40 x 38 x 22 cm Verso signed. Provenance: Purchased directly from the artist. 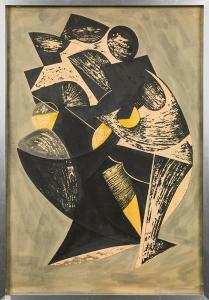 signed, dated and titled on the reverse: Umberto Matroianni, 1957, "Compositie"